Our support is based in Plymouth and we specialise in providing outsourced telephone and email customer service for your business. The service we provide is tailored to your requirements and our staff undergo thorough training to make sure they are prepared for any problem they encounter. We only ever use staff in the UK and we’re on hand should you have any issues with the service. We make sure to adhere to your company values to protect and enhance your reputation. When you speak to staff at Choice Fulfilment, you will get through to real, intelligent people who love dealing with your customers’ problems. The time and effort you put in to customer service can be daunting so we take away all the hassle and let you focus on making money. We aim to provide you with a second to none service. We listen to what you need from a customer service team and set about achieving those goals from the first time we receive a call. We specialise in providing technical support to a variety of businesses in differing industries.Our agents are flexible and can provide support at times to suit your business. We train our agents in your products and services so they’re ready to help from the first day. Our agents are trained to be adaptable and aren’t tied down to a script that may not uncover the source of the problem. We know that no two businesses are the same so we work with you to come up with the best package for your outsourced telephone customer service. Whether you need outsourced order taking or just general technical support, we can help. What types of calls can be handled? As well as answering your customers’ queries, we can also provide customer service over email. Your business may receive thousands of emails every day. You don’t want to have important customer enquiries go unnoticed and unanswered. Outsourcing email email customer service to Choice Fulfilment can help emails be answered faster. This will save you time and you can concentrate on other aspects of your business. 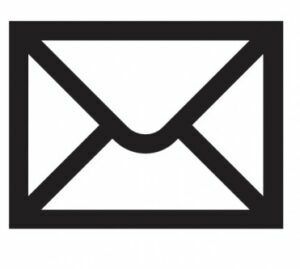 Our staff are highly skilled and experienced at dealing with your emails promptly. They can help with customer care, technical support, order fulfilment, verification, query resolution and resolving escalated cases. We train our staff to be comfortable with your products and services. Since all your customers will have their queries answered promptly and efficiently, customer satisfaction is bound to increase. If you need to outsource email customer service, trust Choice Fulfilment. Increased customer satisfaction as calls are always answered and problems are solved. Improved customer retention as problems are dealt with efficiently. Greater customer acquisition as your existing staff can focus on new sales and existing customers spread the word about the service. The UK economy is driven by the services industry and good customer service is essential in remaining competitive. Today’s consumers expect timely and helpful support from all businesses. Choice Fulfilment can ensure your calls are answered and your customers’ problems are solved. Your customers won’t be stuck on hold or be given an automated message, they’ll get through to a friendly human who can immediately start addressing their issues. Since our staff have been trained to know the ins and outs of your business, we will rarely have to involve your busy staff in any queries. If you would like to know more about our customer service lines, use the button below.